A highly rated and award-winning attorney, our founder, David I. Shiner, established our law firm with a mission to provide the residents and businesses of our community access to the highest level of legal representation possible. Regarded as one of the top personal injury and commercial litigation practices in the region, we have achieved notable success fighting on behalf of those we serve, and we receive many referrals from satisfied clients. 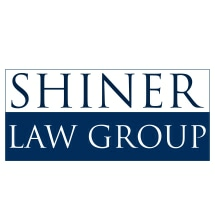 If you suffered an injury or lost a loved one as the result of another party's negligence or wrongdoing, or if you have a legal matter affecting your business, you can rely on the attorneys at the Shiner Law Group for the dependable legal advocacy you deserve. For more information regarding your specific case, you can contact our law firm to schedule a free initial consultation.